Soft traditional Italian shaving soap scented with notes of tobacco, musk, leather, vanilla and tonka bean. Earn up to 11 Reward Points for this item. 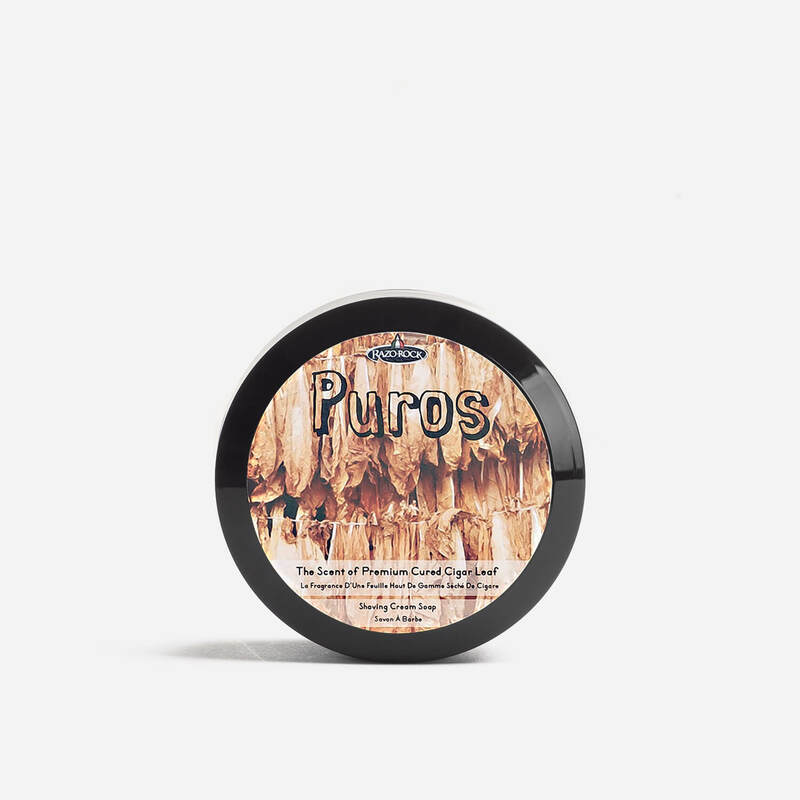 A traditional Italian shaving cream soap scented with RazoRock’s Puros fragrance, which has notes of tobacco, musk, leather, vanilla, tonka bean and a touch of hay. The consistency of the product sits between a cream and a soap, so it could be described as a hard cream or a soft soap. For best results, apply with a shaving brush. Aqua (Water), Stearic Acid, Coconut Oil, Potassium Hydroxide, Tallow Acid, Sodium Hydroxide, Parfum (Fragrance), Benzyl Alcohol, Benzyl Benzoate, Coumarin, Eugenol, Hexylcinnamic Aldehyde, Linalool.